Looking for a spacious house? 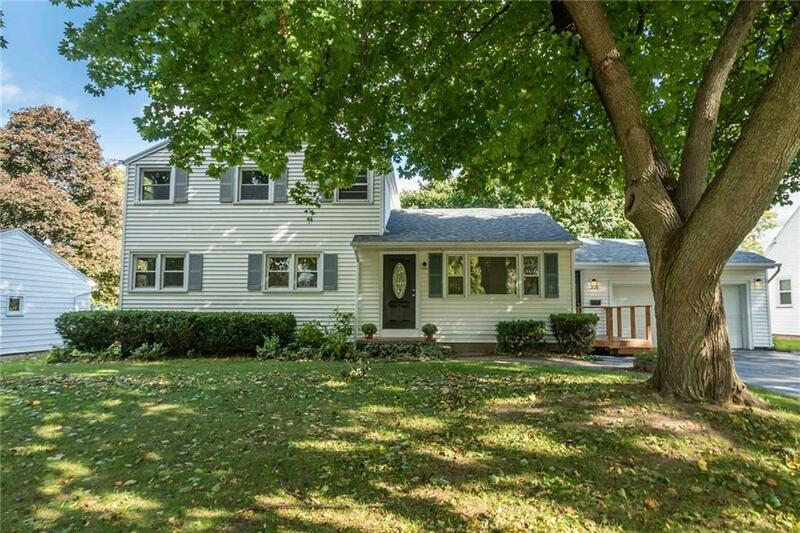 Come visit the warmth and charm of this completely updated 2,000 SF Colonial. Lives like a ranch with 2 beds and 1 full bath downstairs. 2 beds and full bath upstairs as well. Total of 4 bedrooms, 2 full baths, living room, family room w/gas fireplace and brand new eat-in kitchen (new appliances included). Gleaming hardwoods on first floor, new carpet on 2nd floor, many new windows, brand new water heater and high-efficiency furnace w/some new ductwork. Huge, dry walk-out basement (bilco doors), 2 car garage, mud room from garage to family room. Tear-off Roof 2018, large fenced in backyard with patio.